With the opening round of the WEC taking place at Silverstone, Northamptonshire on the weekend of 12-14 April, the first shots have been fired by the big manufacturers. Toyota unveiled their new car on 19 February, the TS030 Hybrid, which naturally boasts improvements over the previous car, which may sound a bit low key, but considering their impressive performance in 2012 in the car’s debut year, they will undoubtedly be a serious contender for the manufacturer’s crown in 2013. 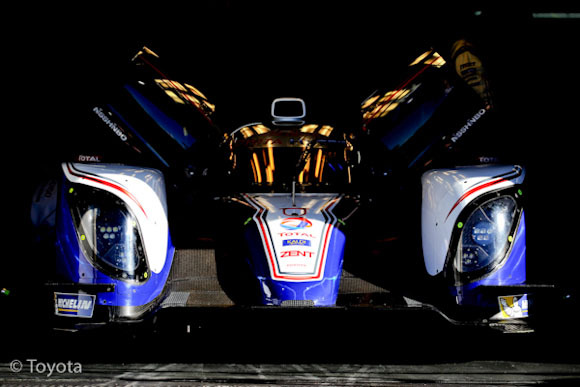 Enthusiasts will remember that the team suffered a significant setback during testing at the beginning of last year which forced them to miss the first European round at Spa, making their Le Mans appearance in June the first public outing for the TS030. 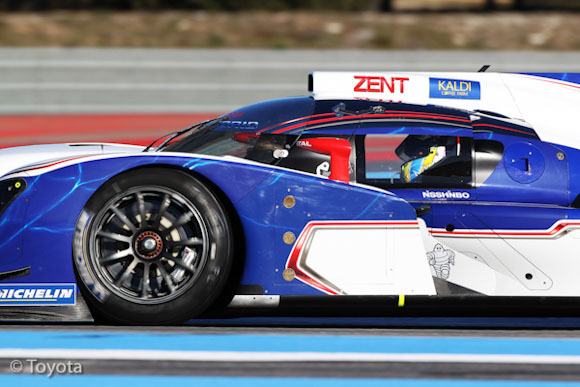 In the 24-Hour race they suffered a double retirement when Anthony Davidson was the victim of a terrible accident with a backmarker, and then their second car retired just after midnight with mechanical problems. However, the Toyota team arrived at Silverstone buoyed by the performance of their cars at Le Mans, and despite not having finished there, they knew their car had the legs. The race at Silverstone would prove them right, as the lone Toyota TS030 finished second, splitting the works Audis and announcing their intent to disrupt the rest of the season for the Ingolstadt camp. The next race, the 6-Hours of São Paulo saw Alexander Wurz and Nicolas Lapierre grabbing the top step of the podium for the first time for Toyota. The team was however just getting into its stride as at their home race, the 6-Hours of Fuji, Wurz and Lapierre scooped their second victory of the season, this time with the help of Kazuki Nakajima. The season could not have finished on a higher note for Toyota, as Alexander Wurz and Nicolas Lapierre took gold once again at the 6-Hours of Shanghai, giving Toyota three outright wins in their debut season, a truly remarkable achievement against the might of Ingolstadt. 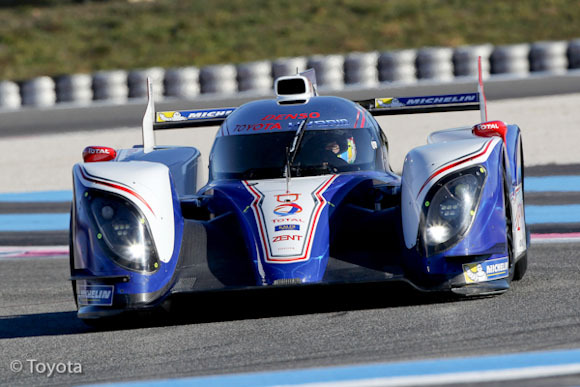 For the 2013 season, Toyota has announced that they will be running a two-car team for the full season. In the #7 Toyota will be Alex Wurz, Nicolas Lapierre and Kazuki Nakajima (the same trio who won at Fuji in 2012), while the #8 car will be piloted by the extremely experienced combination of Anthony Davidson, Stéphane Sarrazin and Sébastien Buemi. 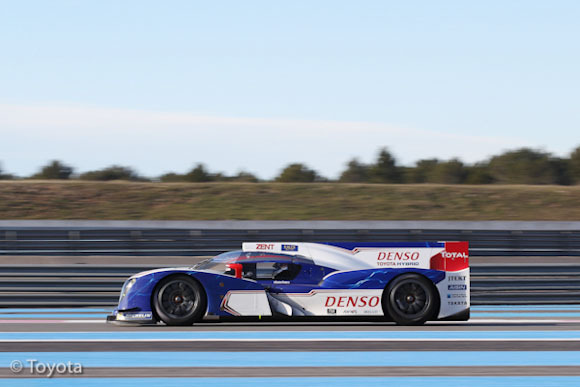 Details of the new car are understandably thin on the ground at this stage, but Toyota has revealed that the 2013 TS030 car uses a revised version of the Toyota Racing hybrid system first used in 2012. The super capacitor-based system delivers 300hp of boost automatically, on top of the 530hp generated by a 3.4-litre, normally aspirated V8 petrol engine. Ahead of the new regulations due to be enforced in 2014, the team has fine-tuned the powertrain, chassis and aerodynamics to improve power, efficiency, management of component usage and reliability. The car will be further developed at the rear, and so more changes will be seen in due course, while the driving position has been slightly modified to improve driver comfort. 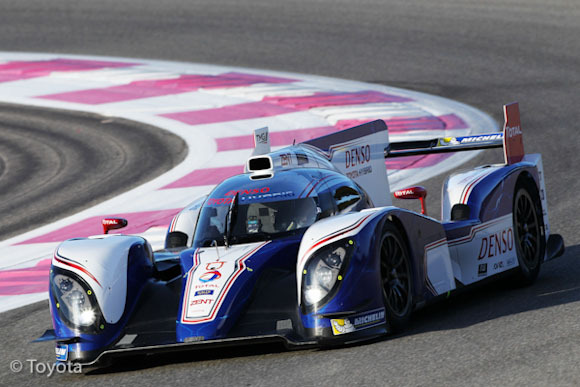 The 2013 car will not be racing at Silverstone, the team preferring to fine tune the car’s details away from prying eyes, and according to a team spokesman, “We are confident the 2012 car gives us a good chance to win at Silverstone anyway.” Toyota plan to do a further four tests before the Le Mans test day. As more details become available, these will be revealed on our blog, so check back each week for updates. 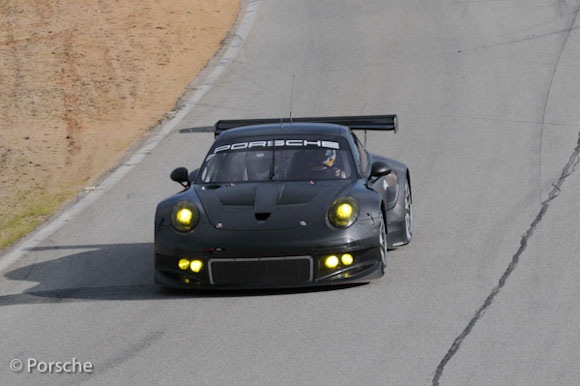 News of the successful conclusion of the tests for the new 911 RSR (991) was announced by Stuttgart today (Friday 22 February). 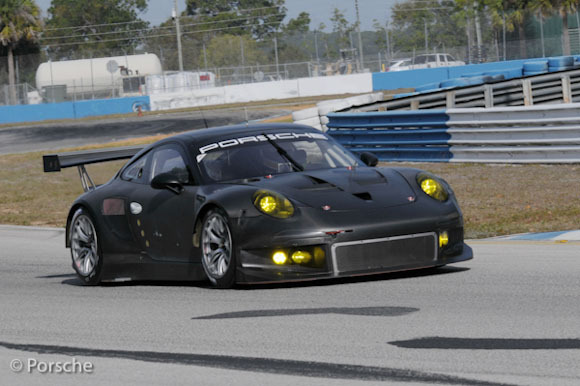 Testing of the new car has just been completed at the Sebring International Raceway, Florida, USA and in a statement Porsche said that the car was now ready for its debut in the WEC 6-Hour race at Silverstone on April 14. 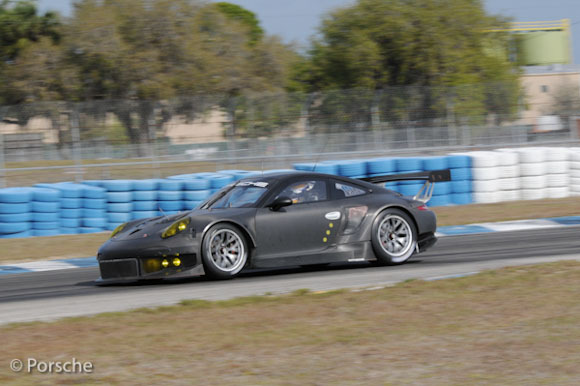 Sharing driving duties at Sebring were Porsche works drivers Richard Lietz and Patrick Pilet. Lietz contests the WEC including Le Mans with Marc Lieb at the wheel of the #92 911 RSR while Patrick Pilet joins forces with Joerg Bergmeister in the #91 car. At the first two WEC rounds in Silverstone and Spa as well as at Le Mans, they will be backed up by factory drivers Romain Dumas (#92) and Timo Bernhard (#91).